01 November 2016, at 12:00a.m. Lee Danks, in the 10th of his series for Royal Canin, reminds us of cats' carnivorous nature. I’M SURE NO ONE READING THIS WILL NEED REMINDING that the cats we care for are obligate carnivores. What might be useful to review is not only what this truly means, but what consequences this has for the individual in their everyday health. Where we and pet owners take many decisions in feeding, we should all be aware of and respect the nutritional needs of those in our care. Obligate carnivore physiology makes for unique food- animal interactions which influence not only daily requirements, but the predispositions and reactions cats have in certain conditions. Considering how the cat’s nutritional idiosyncrasies influence their needs in a state of both wellness and ill health awakens us to the reality that these pets are certainly not, after all, small dogs. As obligate carnivores, cats rely on nutrients in animal tissues to meet their specific requirements. According to FEDIAF (The European Pet Food Industry Federation, setting a regulatory framework for the production of safe and nutritious pet food), omnivorous dogs require 45g of protein for every 1,000 kilocalories they consume. In contrast, feline patients require a minimum of 62.5g per 1,000 kilocalories.5 This is the starting point by which we apply the above definition, founded on years of collective research and understanding of cats’ needs. Just as in any other species, historical feeding habits have led to many biochemical adaptations. In the cat, this is associated with the consumption of prey species. With an ancestrally high-meat diet, cats are metabolically adapted to preferentially use protein as an energy source for maintenance of blood glucose concentrations. As a result, they have a higher basal need for nitrogen and an increased requirement of essential amino acids. Several contributors to this phenomenon have been investigated; most notably cats have been shown to not adapt to the activity of protein- catabolising aminotransferases or urea- cycle enzymes. Even in the case of low dietary supply, the obligate carnivore is suggested to continually utilise protein not just for structural and synthetic purposes, but for providing energy. This is one of the central reasons for adhering to the daily allowance recommendations above and is also an important consideration for avoiding protein malnutrition which can occur more quickly in the sick, injured or anorexic cat. Taurine (for vision, cardiac muscle function and the function of nervous, reproductive and immune systems) – endogenous synthetic enzymes are minimally active and cats have an obligatory loss of taurine into the bile. 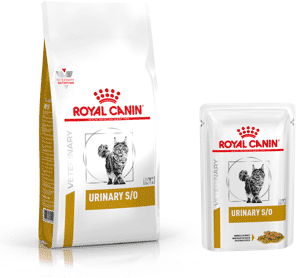 Arginine (used in the urea cycle which is not regulated even when food is withheld) – synthetic pathways are poorly developed in the cat and this amino acid should be considered in cats with hepatic lipidosis. Methionine and cysteine (incorporated into antioxidants, hair and urinary outputs, but primarily as gluconeogenic amino acids, catabolised to provide energy). Tyrosine and carnitine – conditionally essential amino acids. Respecting that there’s likely a giant leap from ancestral feeding habits to those of modern wild populations, we may still reflect on the typical macronutrient content of the prey that feral cats consume. Estimates on the “composition” of small mammals, birds, reptiles, amphibians and insects tell us that less than 10% of calories consumed by a feral cat come from carbohydrates. Just the same as protein-digestion and utilisation is unique to the obligate carnivore, so is their response to carbohydrate. Cats don’t have an essential need for dietary carbohydrate. When compared to dogs for example, they have lower activities of intestinal and pancreatic amylases and intestinal disaccharidases, which break down carbohydrate in the small intestines.10,11 They have low glucokinase and glycogen synthetase levels in the liver and, given their historically consistent supply, protein and fat are often used as gluconeogenic fuels, releasing glucose in “continuous boluses over a long time frame”. This does not mean that cats cannot use digestible carbohydrate at all as an energy source. Albeit at a reduced capacity than the typical omnivore or herbivore, they are quite efficient in their use of simple sugars, particularly when energy yields are important. One key physiological indication for this is during gestation, particularly where lipoproteins cannot cross the placental barrier. Complex carbohydrates which are more resistant to digestion can play a role in moderating intestinal function, but species-specific tolerances should always be taken into account. Commonly referred to as fibre, these can affect intestinal passage, faecal pH, microbiome and intestinal water absorption. In one hallmark publication, The Carnivore Connection3, the cat’s ancestral consumption patterns have been compared to ice-age human eating habits. At this time, man generally consumed hunted meat with some supplementation from gathered fruits and vegetable matter, contributing relatively small amounts of sugars and fibre. In this nutritional context, a heightened hepatic gluconeogenic capacity and a “baseline” insulin resistance (reduced peripheral glucose utilisation) is described. This adaptation is said to give survival advantage, particularly in the case of reproduction, where foetal growth and lactation draw heavily on dietary glucose supplies. With time, many human populations embraced the high nutritional yields that developing agriculture had to offer, moving to higher plant-based, higher- carb diets as a consequence. Select tribes didn’t change in this manner and continued to eat a meat-based diet and it is among these populations (the Paleo-Indians, Australian Aborigines and Paci c Islanders for example) a higher incidence of carbohydrate-sensitive conditions (namely diabetes and obesity) is found.3 This “carnivore connection”, whereby glucose intolerance, insulin resistance and diabetic consequences occur on exposure to high carbohydrate rations, has been extrapolated from human to cat. For all of this theory, the inference that cats exist in an insulin-resistant state is not supported by the references cited in the above article. On investigation, experimentally induced hyperglycaemia is found to be detrimental to pancreatic b-cells in cats, but at the glucose levels quoted, an equal effect was seen in omnivorous species. The level of starch delivered via extruded dry diets is not significant enough to produce extraordinary hyperglycaemia in cats compared to other species. Additionally, one study1 measured long-term effects on glucose tolerance, insulin sensitivity and insulin secretion within two standardised groups of colony cats (n=13 young cats [median 1.1 years] vs n=12 older cats [median 5.8 years]), fed a dry diet of 35% metablolisable energy as carbohydrate, from weaning. The diet was estimated as six times greater in carbohydrate content than that provided in a diet of prey. The mature cats consumed the dry diet an average four years longer than those in the younger group: when fed long- term, insulin sensitivity was found not to be diminished with age. Interestingly, differences in insulin sensitivity and secretion were only observed when body weights were dissimilar, suggesting that an overweight/obese status is more likely to induce pre-diabetic conditions than is dietary carbohydrate. We have an obligation to our cats to provide a diet which fuels the needs of an obligate carnivore. This means respecting the guidelines set out by the authorities in dog and cat nutrition, namely the National Research Council, whose reference figures are put into a practicable framework by FEDIAF, and then equally upheld as “best practice” by the UK’s Pet Food Manufacturers’ Association (PFMA). What we might describe as “higher quality” cat foods will not only ful l legal recommended minimums for protein, but consider the source, processing, digestibility, aromatic pro le and amino acid balance of each protein in the diet. 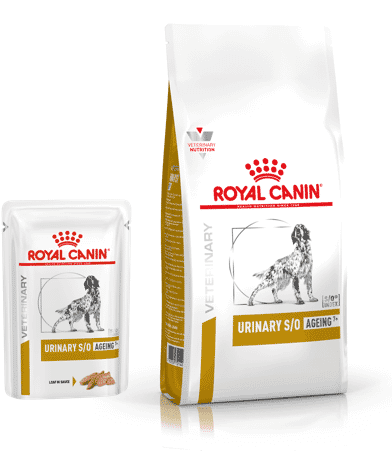 As for carbohydrate, there is no denying the need to include this macronutrient group within commercial dry pet food formulas. The carbohydrate fraction within extruded diets combines with other nutrients and is suspended in a “gelatinised dough”. This composition is essential to the cooking process, allowing kibble expansion into a stable, palatable format when cut and dried. Convenience of feeding and storage, preservation, pet preferences, maintenance of oral hygiene and cost are often mentioned in reference to dry-diet benefits but at all levels, a consciousness of protein and amino acid profile should prevail whenever feeding an obligate carnivore. We all identify cats as unique in most characteristics, and realise the nutritional category in which they lie. The obligate carnivore’s nutritional biochemistry is distinctive, and we should all be able to make a species- specific dietary recommendation both for everyday health and as a reaction to the conditions we often diagnose. 1. Backus, R., Cave, N., Ganjam, V., Turner, J. and Biourge, V. (2010) Age and body weight effects on glucose and insulin tolerance in colony cats maintained since weaning on high dietary carbohydrate. Journal of Animal Physiology and Animal Nutrition 94 (6): e318-328. 2. Backus, R. (2009) Controversy over carbohydrate in diets for cats. 2009 American College of Veterinary Internal Medicine Forum/Canadian Veterinary Medical Association Convention, Montreal QC, pp12-14. 3. Brand Miller, J. and Colagiuri, S. (1994) The carnivore connection: dietary carbohydrate in the evolution of NIDDM. Diabetologia 37 (12): 1,280-1,286. 4. Colagiuri, S. and Brand Miller, J. (2002) The ‘carnivore connection’ – evolutionary aspects of insulin resistance. European Journal of Clinical Nutrition 56: S30-35. 5. F.E.D.I.A.F. (2012) Nutritional guidelines for complete and complementary pet food for dogs and cats. European Pet Food Industry Federation. Available at: http://www.fediaf.org/leadmin/user_upload/Reports/ Nutritional___Analytical_ Science/Nutritional_guidelines. pdf; accessed 15/10/16. 6. Hewson-Hughes, K., Gilham, M., Upton, S., Colyer, A., Butterwick, R. and Miller, A. (2011) The effect of dietary starch level on postprandial glucose and insulin concentrations in cats and dogs. British Journal of Nutrition 106 (S1): S105-S109. 7. Imamura, T., Kof er, M., Helderman, J., Prince, D., Thirlby, R., Inman, L. and Unger, R. (1988) Severe diabetes induced in subtotally depancreatized dogs by sustained hyperglycemia. Diabetes 37: 600-609. 8. Kienzle, E. (2004) Blood sugar levels and renal sugar excretion after the intake of high carbohydrate diets in cats. Journal of Nutrition 124: 2563S-2567S. 9. Kienzle, E. (1994) Effect of Carbohydrates on Digestion in the Cat. Journal of Nutrition 124 (12): 2,568S-2,571S. 10. Kienzle, E. (1996) Carbohydrate metabolism in the cat. 10. Activity of amylase in the gastrointestinal tract of the cat. Journal of Animal Physiology and Animal Nutrition 69 (1-5): 92-101. 12. Digestion of starch. Journal of Animal Physiology and Animal Nutrition 69 (1-5): 102-114. 12. Kirk, C., Debraekeleer, J. and Armstrong, P. (2000) Normal Cats. In: Hand, M., Thatcher, C., Remillard, R. et al (eds). Small Animal Clinical Nutrition (4th ed). Philadelphia, WB Saunders; 291-351. 13. de-Oliveira, L., Carcio , A., Oliveira, M., Vasconcellos, R., Bazolli, R., Pereira, G. and Prada, F. (2008) Effects of six carbohydrate sources on diet digestibility and postprandial glucose and insulin responses in cats. Journal of Animal Science 86: 2,237-2,246. 14. Rogers, Q. and Morris, J. (1979) Essentiality of amino acids for the growing kitten. Journal of Nutrition 109 (4): 718-723. 15. Zoran, D. (2002) The carnivore connection to nutrition in cats. Journal of the American Veterinary Medical Association 221 (11): 1,559-1,567. 16. Zini, E., Osto, M., Franchini, M., Guscetti, F., Donath, M., Perren, A., Heller, R., Linscheid, P., Bouwman, M., Ackermann, M., Lutz, T. and Reusch, C. (2009) Hyperglycaemia but not hyperlipidaemia causes beta cell dysfunction and beta cell loss in the domestic cat. Diabetologia 52: 336-346. With thanks to Rosie Mann for proofreading this article.